This page share some top paid and free video transcoding tools for you to convert video to play, edit and share anywhere you like. 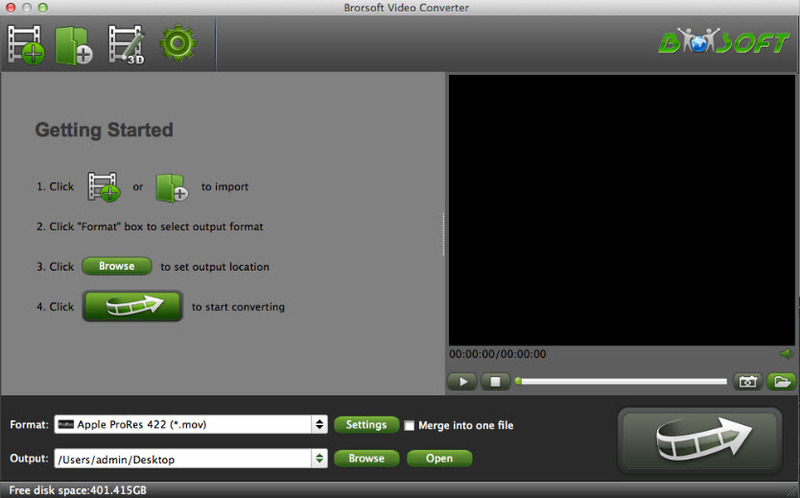 PS: This trial version converts videos with watermark (the logo of Brorsoft) on the screen. If you’re using a Windows (Windows 10 included) PC, please turn to the Windows version here. Overall, this all-in-one mac app tool can easily handle pretty much anything threw at it and then spit it back out in a new format with the fastest encoding speed, while limits the loss of quality as much as possible, so you can view your videos on virtually any device including iPhone, iPod, iPad, Android, Blackberry, Windows device; playing converted videos via any media player software; edit videos files in Final Cut Pro, iMovie, Adobe Premiere, Avid Media Composer, etc. for further use. Editor’s Note: Brorsoft provides excellent customer support service, including lifetime free upgrade of product and technical support. Users can contact the support staff via email for help and suggestion. Editor’s Note: Miro makes video conversion extremely simple, and for those who want ease of use it’s hard to beat. 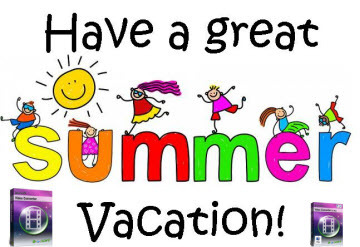 Miro accepts tons of popular video formats including FLV, AVI, MKV, MP4, WMV, XVID, and MOV, and it also supports batch processing of groups of video and movie files, even if they’re different formats. If you are just looking to make a movie compatible with the myriad of other devices out there, it’s a great simple choice. 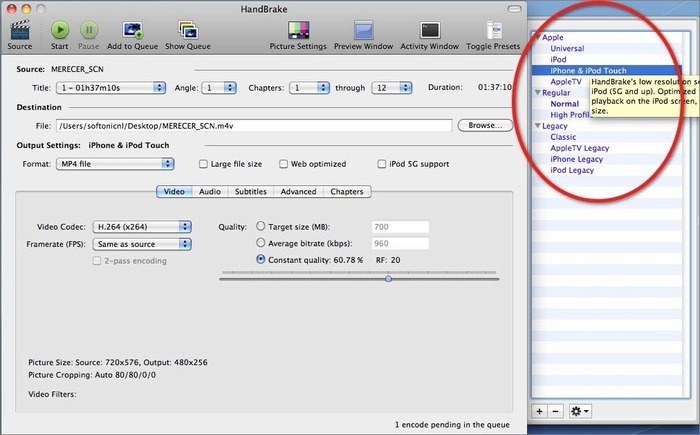 Handbrake is a powerhouse swiss army knife for video conversion and supports just about any conceivable format as input and exports to the most useful formats of MP4 M4V, MKV, and MPG. Originating as a DVD ripper, it has been around for ages and has now evolved into an excellent all-around video converter tool with tons of features and advanced options. All the expected conversion features are there if you want to keep things simple, but advanced options lay right under the hood, where you can add subtitles to video, add new audio tracks, change the video codec type, set and customize frame rate, adjust chapters for DVD or BluRay conversions, apply filters to denies and decomb videos, and so much more. Editor’s Note: Handbrake is really fast, but ultimately the speed of all of these converter utilities depends on the speed of your Mac, and the length of the video. If it seems like conversion is taking forever, consider quitting out of other apps to free up processing power and system resources to get the job done quicker.